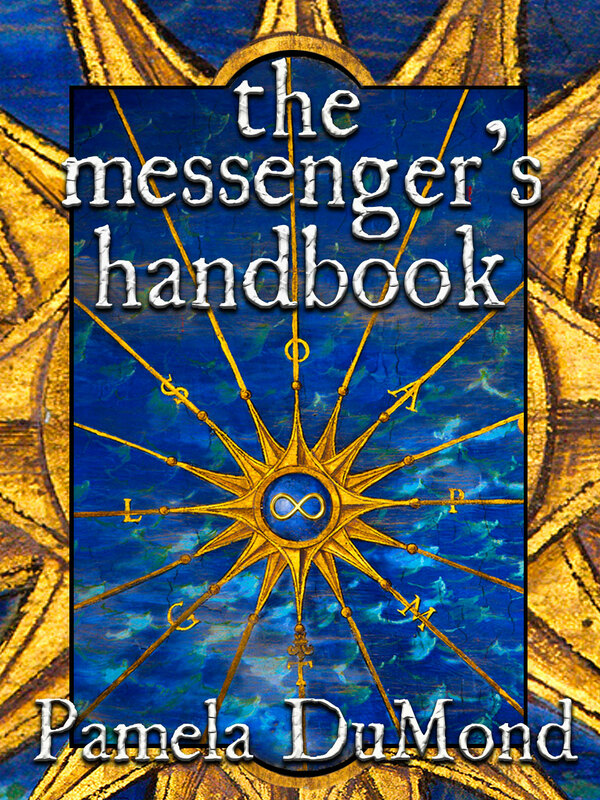 FRIDAY’S REVOLVING BOOK is “THE MESSENGER’S HANDBOOK” by PAMELA DuMOND! What if you discovered that your soul mate lived three centuries before you were even born? It’s been years since Madeline and her mama were victims of a car crash. Madeline survived but suffers wicked anxiety. Her mama simply disappeared. At age sixteen she inherits her mama’s handmade book filled with dangerous family secrets, but barely skimmed it before she’s pushed onto train tracks. Madeline wakes in 1675, the sole survivor of a Native massacre on a colonial settlement. She has inadvertently time traveled to the War between the Wampanoag Natives and the colonists they recently welcomed to America’s shores. Rescued and taken back to a colonial garrison, Madeline learns she is a Messenger, a traveler who can slip through time’s fabric at will, bringing messages that could change one life or many. But she doesn’t know the first thing about traveling let alone surviving this harsh new world. Rumors of witchcraft and spying could get her killed. And falling into a forbidden love with Samuel, a mixed blood boy, puts them both at risk. The only way Madeline can get home and save both their lives is to train with Samuel and the Medicine Woman, confront her deepest fears and fulfill her destiny as a Messenger. But the Hunters, dark-souled predators as well as skilled time travelers, are closing in—and they will kill her if she doesn’t join them. Madeline learns that falling in love, and falling through time doesn’t have to be accidental, could be deadly, but is worth the fight of her life. I stopped for a few seconds to catch my breath. The droning had grown louder. Good. I was closer to that place where desire, action, a little bit of luck and magic would join forces. I’d find that moment to slip through time’s fabric, travel hundreds of years back to present day and warn or even save people. Especially my Samuel. In grade school Pamela DuMond was an A student but stuttered and was badly bullied. Reading became her refuge. She devoured every thriller and mystery she could get her hands on and eventually wrote her own. Pamela discovered Erin Brockovich’s life story, pitched and sold it to a production company and studio. Erin Brockovich the movie was nominated for four Academy Awards. Julia Roberts won an Oscar for portraying Erin. Thriller novels like The Hunger Games by Suzanne Collins, Divergent by Veronica Roth, and epic romantic movies like Last of the Mohicans and Titanic inspired her to write The Messenger’s Handbook, the first book in a planned trilogy. Pamela’s other books are bestselling comedic mysteries. Krill Press published Cupcakes, Lies, and Dead Guys in 2010. Cupcakes, Sales, and Cocktails – A Novella was published in 2011. Cupcakes, Pies, and Hot Guys will be released summer 2012. 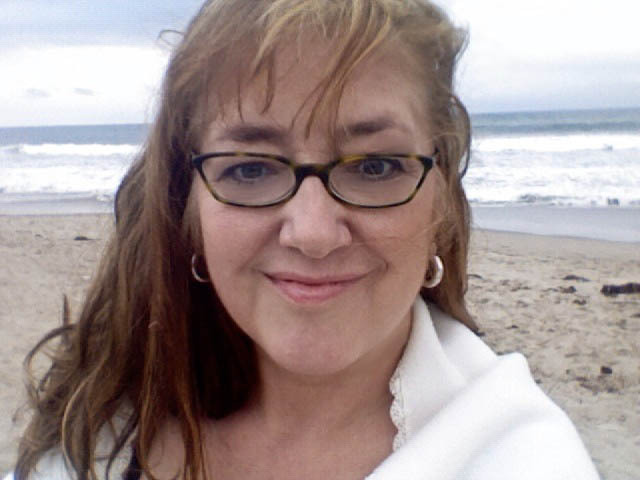 Pamela is a writer, chiropractor, cranio-sacral therapist. Besides reading, writing, she loves the beach, yoga, movies, animals, her family and friends. She lives in Venice Beach, California with her furballs.